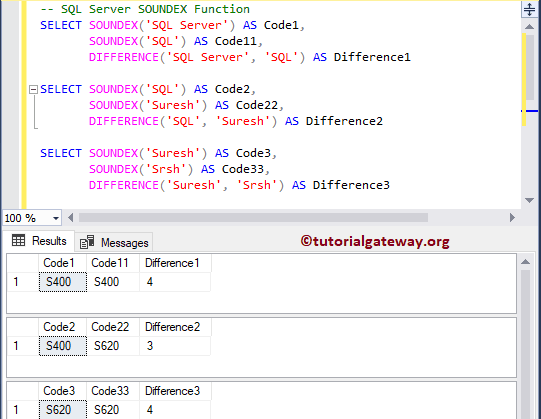 The SQL SOUNDEX one of the String Function, which returns the four digit soundex code of the user specified character expressions. 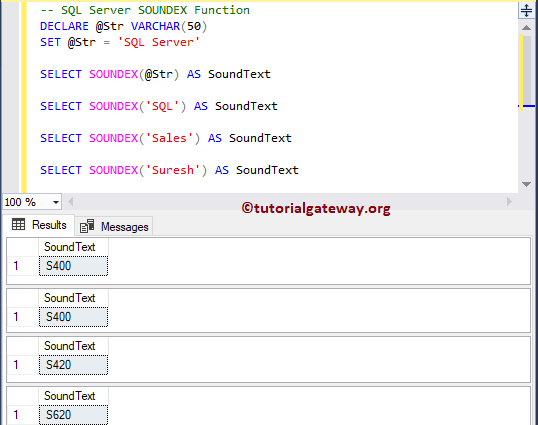 In this article, we will show you, How to write or use this SOUNDEX Function with an example. This Soundex function convert any given characters expression into four digit code based on the string sound. It will place first character from the character_expression as first digit, and remaining are number. In some cases, it will add 0’s to the end to complete four digit code. The following list of examples will help you to understand the Soundex function. In this example,We are going to return the SOUNDEX code of the multiple character expressions, along with the difference. I suggest you to refer Difference Function article to understand the same.